Torside to Standedge. Approx 16 miles. Setting off from Torside the weather was delightful with the sun brightening the morning and making the series of short climbs from Torside to the gritstone outcrops of Laddow Rocks a warm affair. 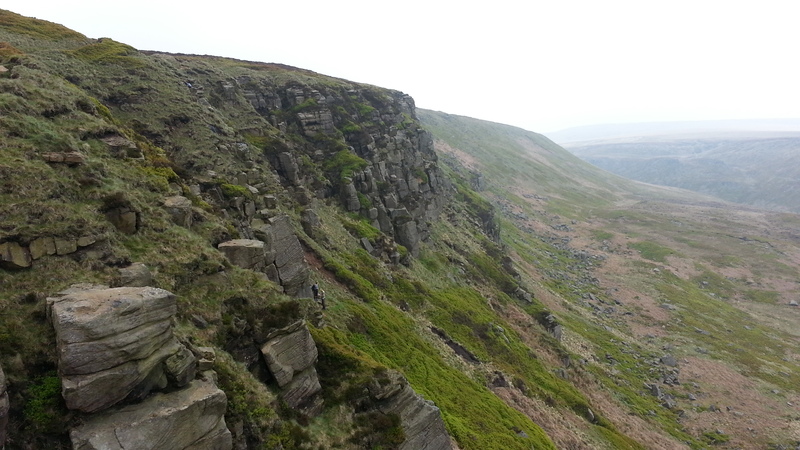 It was on my approach to these rocks that I met my first Pennine Way South Bounder – those folk who choose to walk the Way from Kirk Yetholm to Edale – and, after a brief exchange of encouraging words, we both continued on our own journey; his almost finished and mine only just begun. The views were magnificent, I was in very high spirits, and in no rush to reach any particular destination; I was once again hiking a path that would take weeks to complete and I was in my element. Eventually I dropped down to meet Crowden Great Brook where I brewed a coffee and enjoyed the sound of the brook in full spate. This was initially going to be my wild camp location for last night and was where Dean (aka @dean_read on Twitter) and I camped when we hiked half the Pennine Way back in 2013. (You can view our trip here…) It is an ideal wild camp location as there is a wide flat area close to the brook and I recalled memories of mine and Dean’s camp there 2 years previously. Dean was in my thoughts a lot today as the last time I had walked this way was with him and we had had such a great time. I could quite happily have spent another half hour or so sitting at the foot of one of the becks that flow into the Brook, but I wanted to move on as I had already dawdled long enough this morning and wanted to reach The Carriage House at Standedge before the light faded. I was to camp there tonight and looked forward to sampling one of there speciality Turkish meals…as well as sup a post hike beer or two! A long, gentle climb on newly laid slabs soon had me on the recently transformed Black Hill; formally a barren wasteland of black peat bog it is now a vibrant green area full of wildlife thanks to the tireless work carried out by Moors for the Future Partnership. Here I met Peter, A Peak District National Park Ranger. 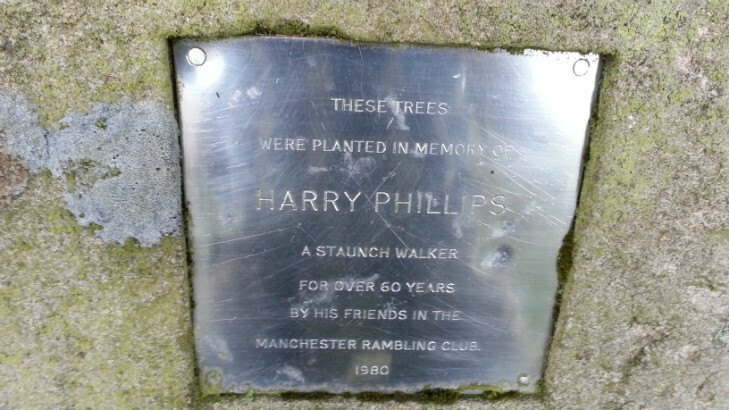 These volunteers help make sure the paths I were walking on were in good repair, and Peter explained to me where the slabs for this particular stretch of the Pennine Way had come from – the dissused mills of Sheffield. 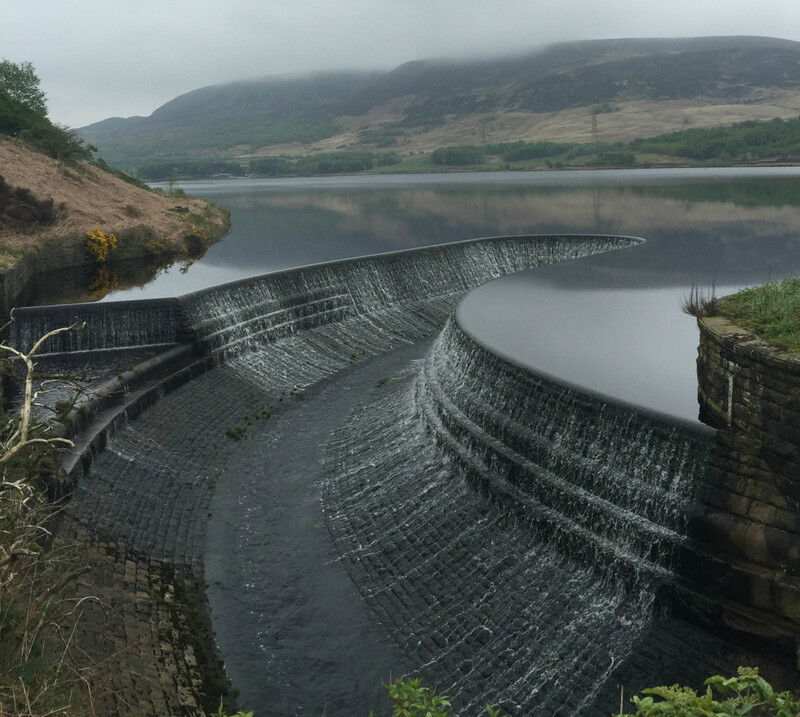 Peter had been volunteering for the past 30 years and knew this section of the Pennine Way and surrounding country intimately. He said he was a very lucky man to do what he does and his weather beated face and twinkling eyes left me in no doubt of his passion. 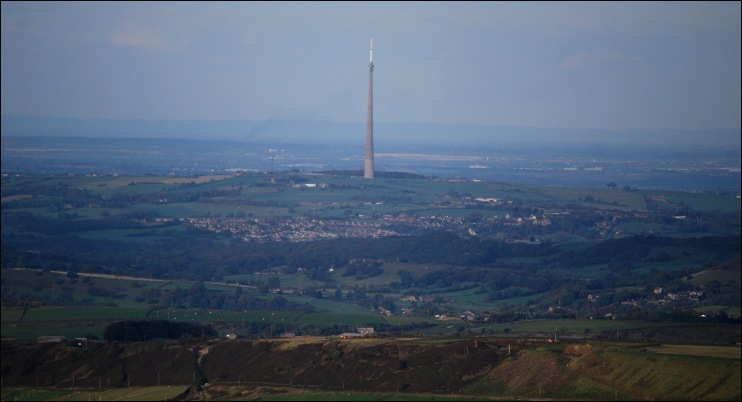 Wishing each other well we parted company and as I dropped down from Black Hill I could see the famous Emley Moor Mast in the far distance and Holme Moss Mast much closer across the moor. Arriving at the A635 I was only mildly disappointed to have missed the burger van that sometimes sits in the layby here – a bacon buttie and a cold can of lemonade would have gone down a treat right about now. Pressing on instead I soon followed a series of access roads that linked together a couple of reservoirs. This man made landscape held its own charm although it was a far cry from the remoteness of Kinder or the ghostly beauty of Bleaklow and once past Wessenden Head and the Wessenden Reservoirs I was back on moorland and heading along the pleasent track divides Swellands and Black Moss reservoirs. Finally I was heading towards Redbrook Reservoir and the end of the days walk on the Pennine Way – Standedge Cutting at Brun Clough Reservoir car park on the A62. This is where I would leave the Pennine Way and turn right and walk alongside the busy road to The Carriage House – my final destination for the day. The sun was now alone in the sky and I was looking forward to sitting outside the restuarant/hotel/camp site to enjoy the last warmth of the day with a much deserved beer. As I approached the Carriage House I spotted Silka (the woman who had intoduced herself to me earlier that morning) and her hiking friend Annette already sitting in the afternoon sun and clearly enjoying their own beers. Waving me over we exchanged stories of our days hiking as we embibed and made plans to eat together later that evening. And what an evening it was! Good food, good beer great company and karaoke! I am no singer, but I needn’t have worried – the rendition of ‘Piano Man’ by a young chap bought the house down and will haunt me for years to come! An amazing end to a wonderful day. 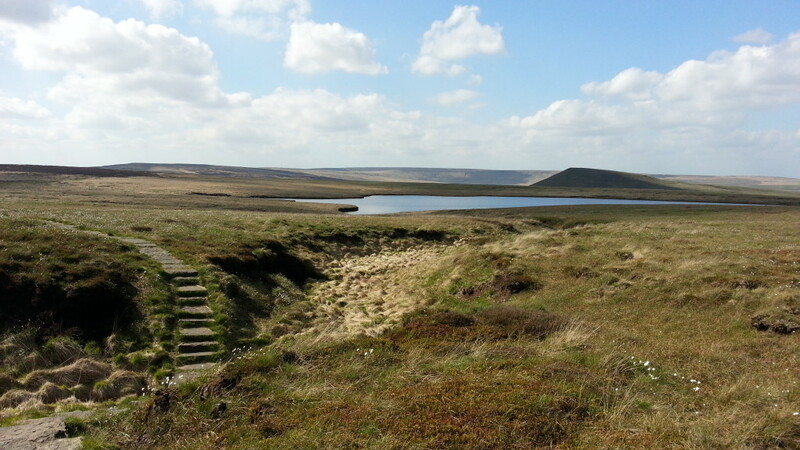 My Adventures, Solo Adventures backpacking, Hiking, Pennine Way, PW50thAnniversary, Standedge, Torside. permalink.